— Cyprian, Treatise on the Unity of the Church, 6. I was 28 when I became the pastor of Highland Village First Baptist Church (now known as The Village Church). I had had a rough go early on in my church experience, and at that time I was not fully out of my “disenchanted with the local church” phase. In all honesty, I wasn’t sure at the time that church membership was biblical. Despite that, the Spirit had made it all too clear that I was going to be pastoring this small church in the suburbs of Dallas. That was one of the many ironies of my life in those days. Highland Village First Baptist Church was a “seeker-sensitive” church in the Willow Creek mold and had no formal membership process, although they were actively working on one and wanted the new pastor’s input. I had a strong understanding of the church universal but wasn’t well versed—and, as I said, somewhat skeptical—about the church local. We started growing quickly with young and oftentimes disenchanted 20-somethings who usually had no church background, or bad church backgrounds. They liked The Village because we were “different.” This always struck me as strange because we weren’t doing anything but preaching and singing. In conversations with these men and women I began to hear things like “The church is corrupt; it’s just about money and a pastor’s ego,” or “I love Jesus, it’s the church I have a problem with.” My favorite one was, “When you organize the church it loses its power.” Although something occasionally resonated in me with these comments (I, along with most of my generation, have authority and commitment issues), I found them confusing since they were being made to me by people who were attending the church where I was the pastor. Two questions occurred to me. First, if there is no biblical requirement to belong a local church, then which leaders should an individual Christian obey and submit to? Second, and more personally, who will I as a pastor give an account for? These two questions started my search for a biblical understanding of the local church, and they began around the ideas of authority and submission. Regarding the first question, the Scriptures clearly command Christians to submit to and honor an elder body (Heb. 13:17, 1 Tim. 5:17). If there is no understanding of local church membership, then who are we to submit to and obey? Is it anyone with the title “elder” from any church? Should you as a Christian obey and submit to those loons at Westboro Baptist? In order to obey Scripture, must you picket soldiers’ funerals, as the pastor of Westboro seems to imply? Regarding the second question, the Scriptures clearly command an elder body to care for specific people (1 Pet. 5:1-5; also, Acts 20:29-30). Will I as a pastor be held accountable for all the Christians in the Dallas Metroplex? There are many churches in Dallas that I have strong theological and philosophical differences with. Will I give account for what they teach in their small group, how they spend their money, and what they do concerning international missions? 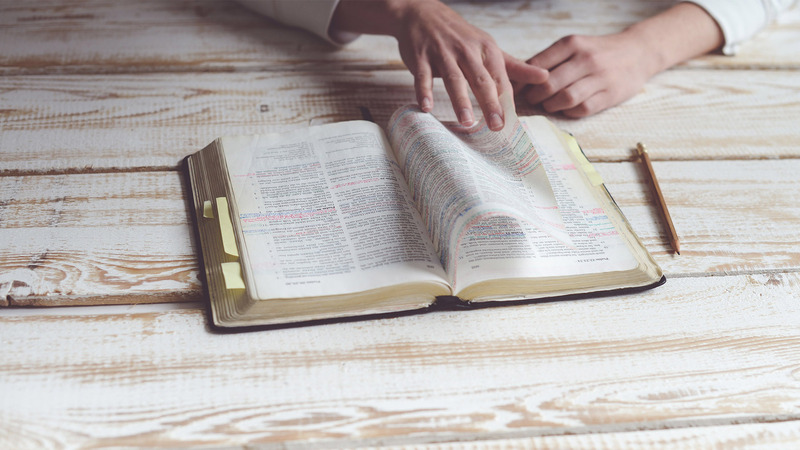 After considering questions of authority and submission, the second issue that came up in my study of the local church was the biblical teaching on church discipline. It has been my sad experience that very few churches still practice church discipline, but that’s another article for another day. My question out of this text is simple: How can you kick someone “out” if there isn’t an “in”? If there is no local commitment to a covenant community of faith, then how do you remove someone from that community of faith? Church discipline won’t work if local church membership doesn’t exist. There are other evidences to support local church membership in the Scriptures. We see in Acts 2:37-47 that there is a numerical record of those who have professed Christ and been filled with the Holy Spirit (v. 41) and an acknowledgement that the church was tracking the growth (v. 47). In Acts 6:1-6, we see elections take place in order to address a specific problem and accusation. In Romans 16:1-16, we see what appears to be an awareness of who is a church member. Let a widow be enrolled if she is not less than sixty years of age, having been the wife of one husband, and having a reputation for good works: if she has brought up children, has shown hospitality, has washed the feet of the saints, has cared for the afflicted, and has devoted herself to every good work. But refuse to enroll younger widows, for when their passions draw them away from Christ, they desire to marry and so incur condemnation for having abandoned their former faith. Besides that, they learn to be idlers, going about from house to house, and not only idlers, but also gossips and busybodies, saying what they should not. In this text we see criteria for who would or would not qualify for Ephesus’s widow care program. The local church in Ephesus is organized, and they are working out a plan. We could go on and on here, asking questions about how we could be obedient to the commands of God in 1 Corinthians 12 or Romans 12 if we aren’t connected to a local covenant community of faith. But to unpack all the possible texts would require longer than I have for this article. When you begin to look at these texts it becomes clear that God’s plan for his church is that we would belong to a local covenant community of faith. This is for our own protection and maturation, and for the good of others. If you view church as some sort of ecclesiological buffet, then you severely limit the likelihood of your growing into maturity. Growth into godliness can hurt. For instance, as I interact with others in my own local body, my own slothfulness in zeal is exposed, as is my lack of patience, my prayerlessness, and my hesitancy to associate with the lowly (Rom. 12:11-16). Yet this interaction also gives me the opportunity to be lovingly confronted by brothers and sisters who are in the trenches with me, as well as a safe place to confess and repent. But when church is just a place you attend without ever joining, like an ecclesiological buffet, you just might consider whether you’re always leaving whenever your heart begins to be exposed by the Spirit, and the real work is beginning to happen. What’s the bottom line? Local church membership is a question of biblical obedience, not personal preference. This post first appeared at the 9Marks website.